-Her official color is pastel pink. -She is from Kagoshima City, Japan. -When she was born, her parents were young (20 and 23 years old). -She went to a musical school when she was in 3rd grade. -Education: Shigakukan Middle School (a private school in Kisarazu, Japan). -She wanted to become a singer after listening to opera with her mother. -Her highest 48group Senbatsu ranking is 3rd. She joined HKT48 as a Kenkyuusei (trainee) in July 2011 and was promoted to Team H in March 2012. She was transferred to Team KIV in 2014. -Her special skills are drawing and being able to sleep anywhere. -Her favorite food is sushi and her favorite drink is green tea latte. -Sakura loves gaming and has a gaming channel on YouTube. IZONE fans gave her a PS4 and a Nintendo Switch as gifts during fansigns. -In HKT48 she is close with Murashige Anna. -She is a fan of Red Velvet and her bias is Irene. -Her charm point is her ears. 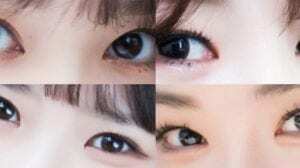 -The other HKT48 members say she has a weird way of running. -She was the center for Produce48’s theme song. -She dislikes red bean paste. -Sakura was a child actress and wants to continue acting. She acted in the Japanese horror miniseries Crow’s Blood and in AKB48’s drama series Majisuka Gakuen 4. -Her catchphrase (greeting) in HKT48 is: You too, you too, in everyone’s heart (Sakura bloom!) I’m Miyawaki Sakura, I’m 20 years old, from Kagoshima prefecture. How much do you like Sakura? she is pretty. thats all i can say about her, she cant sing at all and her dancing is not good.. but at least she is pretty lmao. She doesn’t have anything to prove to anyone, she won 2nd place fair and square and that’s the tea. She’s not the best singer, or dancer, but she’s the fastest learner, her stage presence is top notch, she’s a brilliant actress and writer and everyone adores her for her kindness. It NEVER felt like she was dragging the team down, or ruining the performance. On the contrary, she makes it enjoyable for so many people. So I don’t think it matters if she can’t dance like Chaeyeon or sing like Yuri, she has her own charm points and her own quirky personality. There are things that only she can do. But people keep dragging her because she was never trained in dancing or singing and I think it’s really funny lol. It just shows how people can miss the point. Stop judging her… she deserve 2nd spot as fans voted for her… by the way do u think the untalented 14 year old girl deserve rank 1 despite many people in izone are better than her? I didn’t say the Wonyoung deserves to be the 1st!!!! 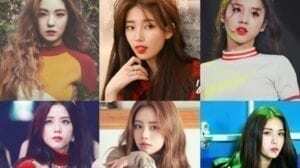 Miyawaki Sakura is the most popular member in IZ*ONE. I will not surprised if IZ*ONE fake fans, jelousy loosers, and haters will attack her first to beat IZ*ONE since she is one of the strongest IZ*ONE pillar. This trolls/haters/fake fans is absolutely not a true Wiz*one. You can see clearly from their aggresive comments here. Because they don’t have any confidence to their bias at all and attack a humble kindhearted angel like Sakura. What a shame. TBH their provocative, crap and troll comments has made us sick a lot !!!.. don’t ever try to attack a humble n kind hearted IZ*ONE member like Sakura and hurt million Sakura’s global fans feeling. 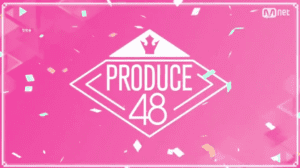 All of us know what is final PD48 or current result if all global fans can vote. All 12 IZ*ONE for One and 1 for all 12 !!! Actually Sakura has everything. That is why PD48 trainer Soyou said that Sakura is born to be a star. nobody can stop her. Never underestimate Sakura experiences, reputation and talent. Since still a child actress, Sakura character is never changed. She is always very Open and Very humble, very down to earth. But dont underestimate her because of this character. We know that Sakura has super Popularity but always humble and keep.low profile. Its her character since she was still a child actress. Fyi, Sakura has released 42 single Albums (28 with AKB48, 11 with HKT48, 2 with IZ*ONE : La Vie En Rose, Suki to Iwasetai and HEART IZ). What your bias have done?? Do not start a war that you will never win. Tofu Pro Wrestling (2017), Shanghai love map (Chinese movie, 2018) etc. Please ask yourself What your bias have done, before underestimating queen goddess like Miyawaki Sakura. Sakura also has great academic result in School, will become doctor if not become idol. Sakura is a real Gamer. She has private online game channel. You can do googling to check this special talent. Sakura also have private show room with her Cat “Maru Chan”. Sakura already became Fashion and commercial Ad model MV for years. Sakura has regular live radio talks. She has great talent at funny drawing. Sakura also very good at cooking and a housewife material. Million Sakura Korea, Japan and global fans in the world know that Sakura is IZ*ONE the best Visual, a walking Meme and has best loyal global fandom in IZ*ONE. Sakura is always occupying Kami 7 position (7 highest ranking) in latest 4 years AKB48 Senbatsu. And you can check Sakura latest Japan single Album “No Way Man” (She is the Center). Released on November 28, 2018 (1 month after IZ*ONE album La Vie En Rose). Reached/sold 1.3 million CD copies on the first day of sales. Nobody can stop this humble and kindhearted queen..
She has released 42 single albums. 28 single albums with AKB48, 11 Single albums with HKT48, and 3 single albums with IZ*ONE. Sakura also has been involved in around 14 drama movies. Most of them as the main role. 3. 29th Single Album “Eien Pressure” (B-side) in 2012. 4. 30th single album “So Long!” (B-side). Year 2013. 6. 32nd Album Singles “Koi Suru Fortune Cookie” (B-side). Year 2013. 7. 33rd Single Album “Heart Electric” (B-side). Year 2013. 8. 34th single album “Suzukake no Ki no Michi de …” (B-side). Year 2013. 9. The 35th single album “Mae Shika Mukanee” (B-side) in 2014. 10. 36th Single Album “Labrador Retriever” (A-side). Year 2014. 11. 37th Album Single “Kokoro no Placard” (A-side). 2014. Ranked 11th in 2014 General Election. 12. Sakura becomes CENTER on the 2014 38th Single Album “Kibōteki Refrain” (A-side). The soundtrack of the Drama Action Film Majisuka Gakuen 4 whose main role is Miyawaki Sakura. 15. 41st single album “Halloween Night” (A-side). Ranked 7th in 2015 general election. Also singing “Ippome Ondo” “Yankee Machine Gun” & “Gunzou” Soundtrack for the action drama film Majisuka Gakuen 5, whose main role is Sakura. 16. 42nd single album “Kuchibiru ni Be My Baby” (A-side). 2015. Also sing “365 Nichi no Kamihikōki”, “Yasashii Place” and “Senaka Kotoba”. 17. As Solo CENTER on 43rd Single Album “Kimi wa Melody” (A-side). 2016. 10th Single Anniversary. 18. 44th single album “Tsubasa wa Iranai” (A-side) in 2016. Also sing “Set me free”. 19. 45th Single Album “Love Trip / Shiawase wo Wakenasai” (A-side) in 2016. Ranked 6th in the 8th General Election. Also sing “Hikari to Kage no Hibi” and “Black Flower”. The horror drama “Crow’s Blood” film soundtrack which is Sakura’s main role. 21. 47th Single Album “Shoot Sign” (A-side) in 2017. Also sang “Tomaranai Kanransha” with HKT48 and “Dare no Koto wo Ichiban Aishiteru?”. 22. As a CENTER on 48th Single Album “Negaigoto no Mochigusare” (A-side). In 2017. 23. 49th Single Album “#SukiNanda” (A-side). Year 2017. Rank 4 in general election. Also singing the song “Give up wa Shinai”, the soundtrack to the film Drama Wrestling “Tofu Pro Wrestling” where Sakura is the main role. 24. 50th Single Album “11gatsu no Anklet” (A-side). In 2017. 26. 52nd Single Album “Teacher Teacher” (A-side). 2018. 28. Sakura becomes Solo CENTER 54th Single Album “No Way Man” (A-side). Year 2018. Release on November 28, 2018 (1 month after the release of Sakura Album with IZ * ONE “La Vie En Rose”). No Way man Album Single Sold 1.3 million Copies on the first week of release. 29. 1st Single Album “La Vie En Rose. Released at the end of October 2018. 30. 2nd Single Album “Suki To Iwasetai”. Released on February 6, 2019. 31. 3rd Single Album “HEART*IZ”. Released on April 1, 2019. 35. As the Center for the 4th Single Album “Hikaeme I Love You!” (A-side) In 2014, he also sang “Natsu no Mae”. 37. Single Album ke 6 “Shekarashika!” (A-side).2015. 38. 7th Single Album “74 Okubun no 1 no Kimi e” (A-side). 2016. 39. 8th Single Album “Saikō Kayo” (A-side). 2016. Tofu Pro Wrestling (2017), Shanghai love map etc. Nobody can stop this humble and kindhearted queen. Additional Information about Miyawaki Sakura, taken from Facebook Fan Page “Miyawaki Sakura Fans INA” , Wikipedia & Stage48 about Miyawaki Sakura.